Behindwoods Gold Short films contest is an initiative by Behindwoods to provide the much-needed breakthrough that aspiring filmmakers await. Out of more than 550 short film entries, we received earlier this year, a fun and intriguing fantasy short film titled Naan 8 was awarded the Behindwoods Gold Medal by the Premam actor Nivin Pauly. NAAN8 is written & directed by Shammeer Sultan which talks about the story of a techie who has different commitments in life and at the same time encounters a mystic who gives him a mirror that can clone himself. When he has his clones to take care of his work, will he find the purpose of his life? This is the crux of the story which has been dealt in an interesting way. 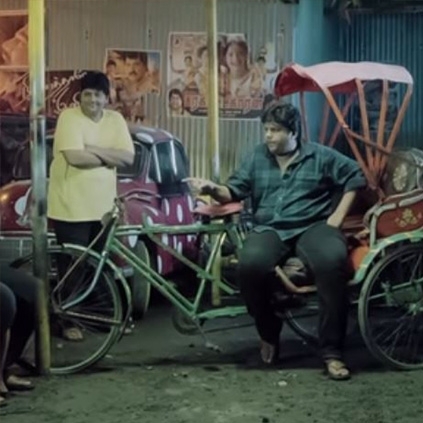 Behindwoods is privileged to officially release this video on YouTube today. You can now see and enjoy this short film in Behindwoods YouTube channel. Click the below link to watch Naan 8 Short film full video. People looking for online information on Naan 8 will find this news story useful.